Sparks & Ellis has added a small range of cleaning uniforms to its product offering as a result of requests from some of its clients. 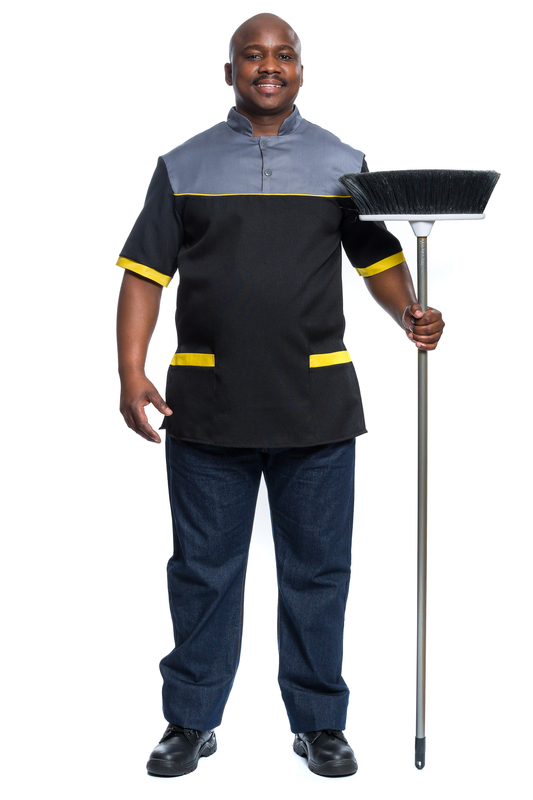 Two years ago, a new cleaning uniform design was developed and manufactured by Sparks & Ellis and has evolved to become a range that today consists of four different styles of tops that can reflect a company’s colours and logo. The bottom is an elasticated design which is comfortable and can also be manufactured in a colour to match the top. Sparks & Ellis has an indispensable online ordering service, which allows for convenience and minimises errors with regard to the placement of orders while improving the turnaround time considerably which makes them one of the top service providers in the uniform industry. The online ordering system can also provide history of what was issued to each employee if required. You can see Sparks & Ellis’s full catalogue range here.